World War II was a dramatic event for the lives and roles of American women in society. Before the war, very few women had jobs in the workforce and the vast majority worked in the home as stay-at-home mothers and homemakers. Women who did have jobs at the time were usually limited to roles such as: teachers, secretaries, and nurses. However, when the war began and American men began to enlist in the war effort, women were needed in the industrial sectors of the American economy in order to keep the factories operating. As such, American women would come to play a crucial role in the war effort, especially on the home front. 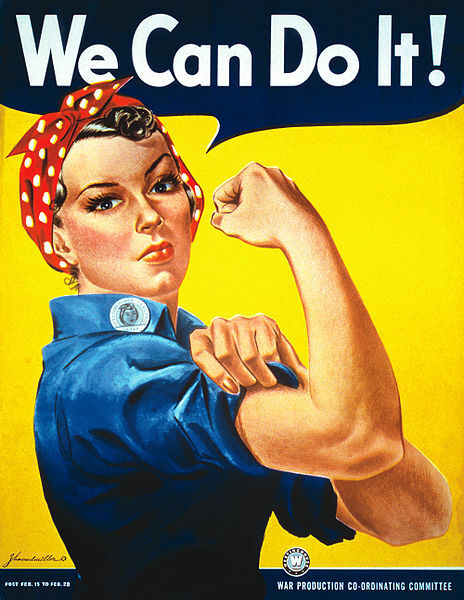 For example, an American propaganda campaign titled “Rosie the Riveter” pushed for women to enter the workforce in order to manufacture the weapons and vehicles needed to win the war. The campaign was loosely based on a real woman at the time. The image today is often seen as a symbol of women's rights. The aviation industry saw the largest increase in women entering the workforce with more than 300,000 American women working in factories producing aircraft. As well, American women also entered the Armed Forces during the war. Approximately 350,000 women entered the Armed Services and took roles that saw them serve at home and abroad. Between 1940 and 1945, the female workforce increased from 27 percent to nearly 37 percent, and by 1945 nearly one out of every four married American women worked outside the home. 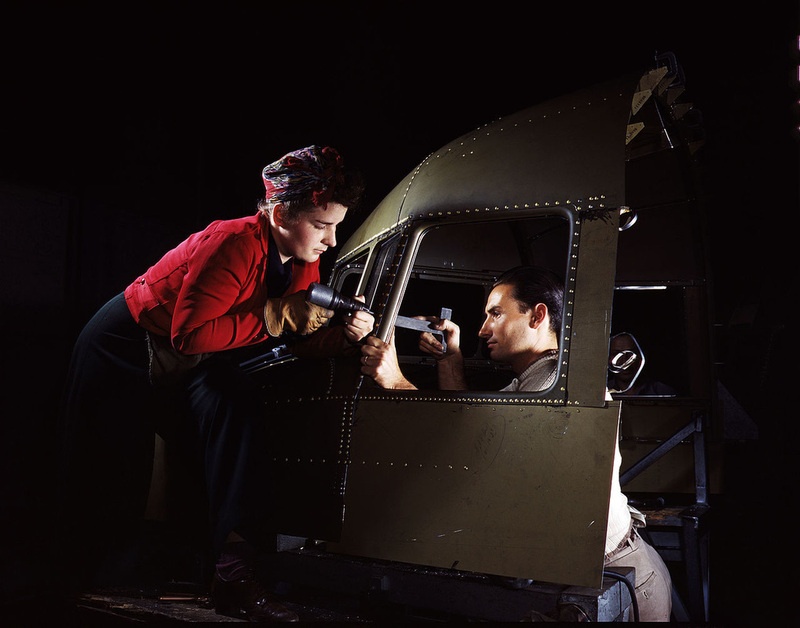 Overall, World War II was a dramatic event for American women in that it caused many of them to enter the work force for the first time and it began a trend that continues still today.